Former Marine gunnery sergeant Torin Kerr is attempting to build a new life with salvage operator Craig Ryder on his ship, the Promise. Turns out civilian life is a lot rougher than she'd imagined-salvage operators are losing both cargo and lives to pirates. And when they attack the Promise, Craig is taken prisoner and Torin is left for dead. 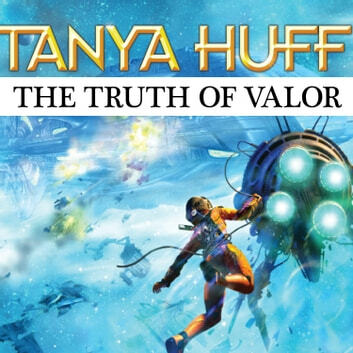 When Torin finds out why the pirates needed Craig, she calls in the Marines to get him back-and to stop the pirates from changing the balance of power in known space. I really love this series and Torin's journey and character and relationship development. The books in this series really move through dialog, so they're actually better as audiobooks and Gavin does an admirable job with a large cast of characters and sci-fi lingo. 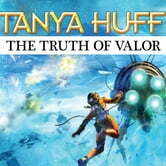 The characters and story continue in Tanya Huff's Peacekeeper series, which is also great.